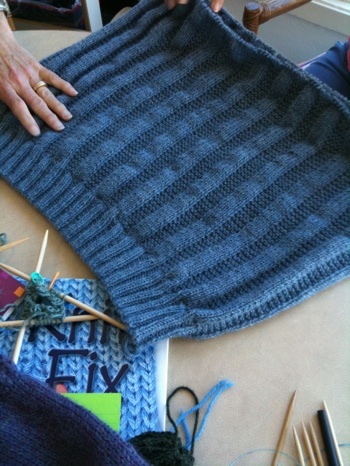 Knitting Your First Basic Sweater class – Additional techniques and Photos of Course! 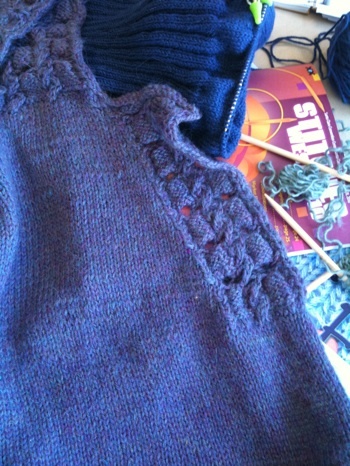 Hope you all are having fun with your knitting; no fair showing your SIPs (Sweaters in Progress) off! Kathy's SIP flat - Nice! Nancy's SIP - Beautiful Work! 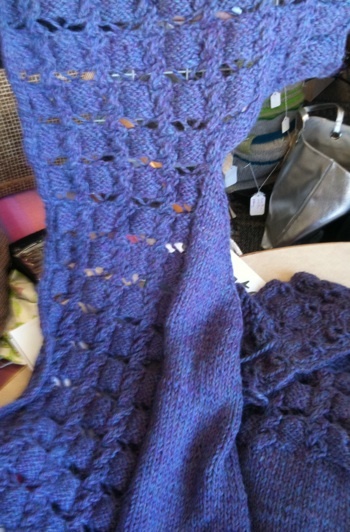 Ana brought in a beautifully cabled sweater! 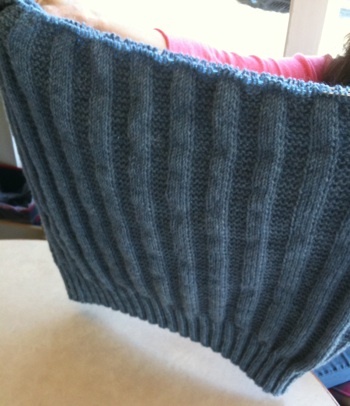 More Detail of Ana's Sweater. 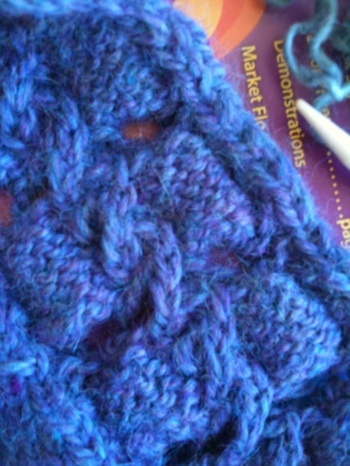 Let me know if you need any more assistance on working with double pointed needles – I’ll be in the shop on Friday afternoon. – more about reading patterns, charts, etc. 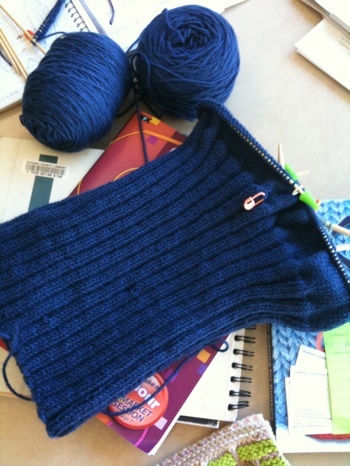 There will be hands on practice in class – a knitting lab of sorts! and Wednesday evenings, April 21 and 28, 6 to 8 pm.